Hi Guys! 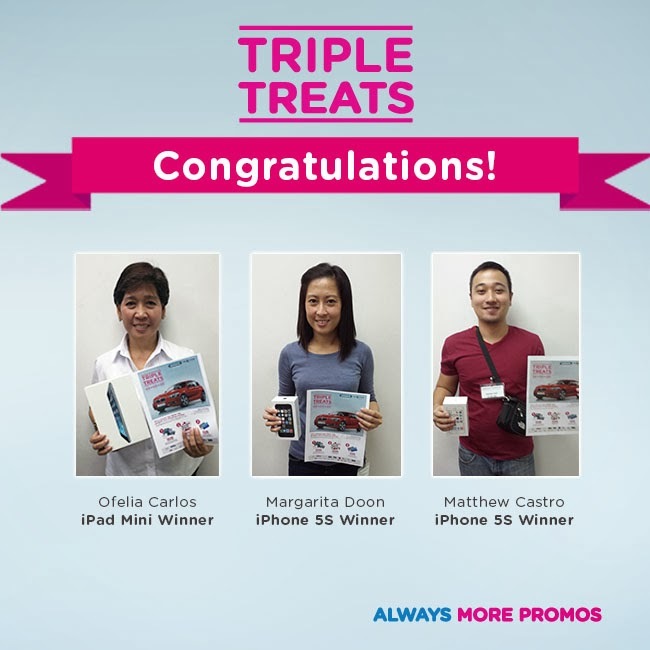 Have you joined Watsons Triple Treats Promo yet? If you haven't, check the full mechanics HERE for a chance to be part of the winners list! 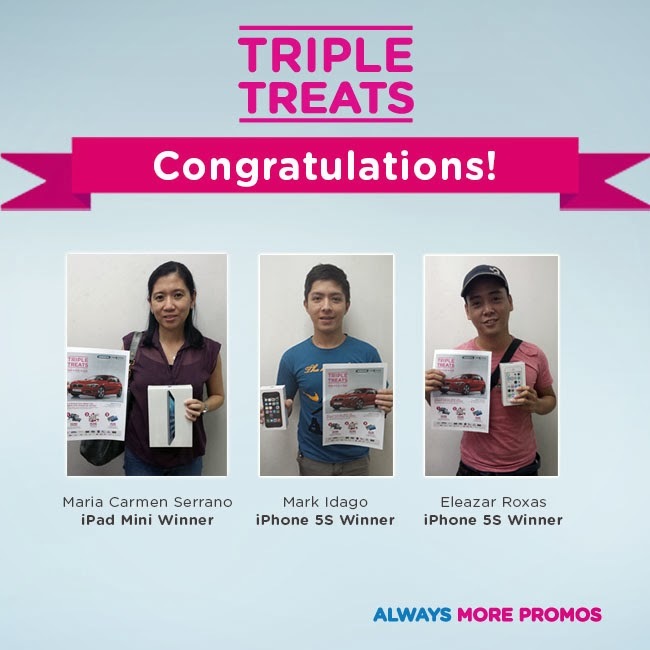 It's only the first b-weekly draw but more than 17 people have already won iPad Mini's, iPhone 5s and lots of P1000 Watsons Gift Certificates! This is only the beginning guys, there's still many more iPhone's, iPads, Gift Certificates and BMW Grand Prize to be given away every 2 weeks! Promo will run until March 31, 2014 only so hurry to a Watsons Store nearest you.